Violence rages in nearly every corner of the world. That makes Baden-Powell’s vision for Scouts promoting world peace seem even more prescient today than it did a century ago. Fortunately, Scouts and Scouters in the U.S. live far from any war zone. But that doesn’t mean your unit can’t do its part to bring peace to the world. Go online and register your Messengers of Peace (MOP)-related community service projects (including Eagle Scout projects). 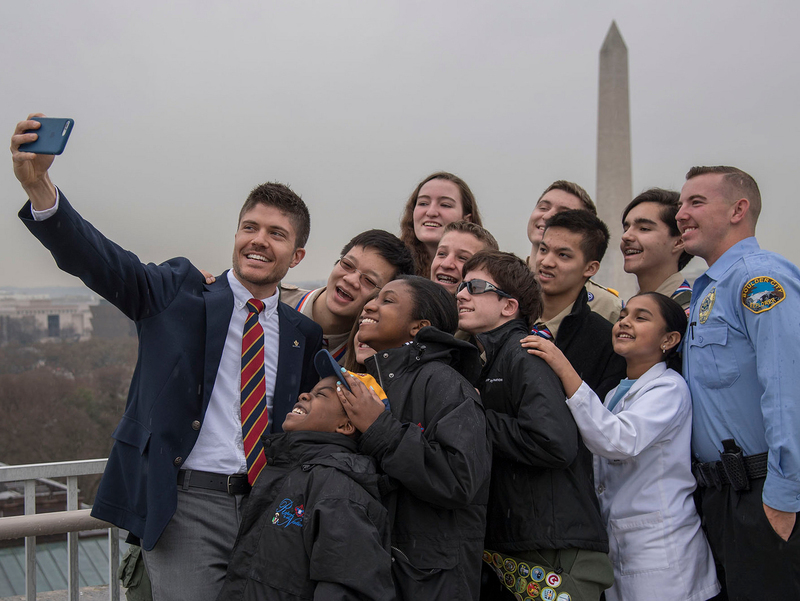 Doing so adds pins to a global Messengers of Peace map, which Scouts from around the world can click on to learn how their fellow Scouts are making a difference. Scouts who complete MOP projects will become eligible for a special recognition: the ring patch ($1.49 each, seen above) that goes around the World Crest. That patch will symbolize their participation in an ever-widening circle of Scouts who are not just visualizing world peace but are helping to make it a reality. The Scouts of the world have always been a powerful force for good. This initiative lets us celebrate what our Scouts have already accomplished and inspire them to accomplish even more. Join in as Scouts create a better world, one step at a time.